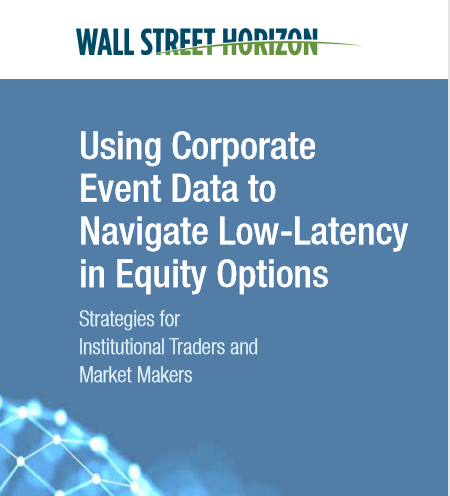 Wall Street Horizon has developed a new series of whitepapers illustrating the importance of corporate events and how different firm types can use event data to ultimately find alpha. 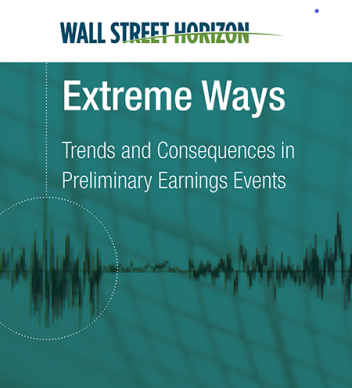 The paper uncovers why institutional investors need to examine preliminary announcements ahead of quarterly disclosures, assess the change or deviation and determine how it plays into or against typical communications and the strength of signal it may represent about upcoming earnings. Offered within are examples of how several academic researchers have leveraged high-quality data to conduct independent research and publish their results in academic journals. This paper details what to look for in corporate event data and suggests best practices for sourcing highly accurate data. This paper explores new trends in the development of event-based trading signals in the equity options market. 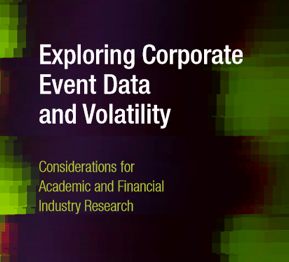 Citing contemporary academic research into options pricing and volatility, it examines the reasons to use predictive corporate event data to drive options trading decisions, especially within the context of increased low-latency and high-frequency trading (HFT) market makers in the market.